1. Please send your press release in a Word Document. 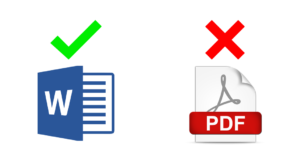 DO NOT send press releases in PDF Format. 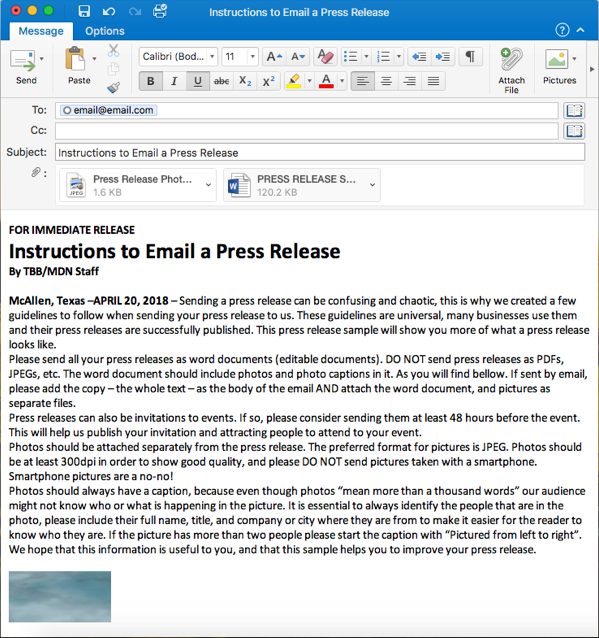 The press release (word document) should include pictures and photo captions. 2. Press releases should be send in a timely manner. At least 48hrs before the date of the event, if not it won’t be possible to publish them. 3. If sent through email, please add the copy (text) as the body of the email AND attach the Word document, and pictures as separate files. 4. Do not write the headline of your Press Release in all caps. Use Title Case. 5. Please attach pictures separately from the press release email body. 6. Preferred format for pictures is JPEG. Photos should be high resolution, at least 300dpi 1500px wide. Do not send photos taken with a smartphone. Smartphone pictures are a no-no! The optics and the sensor in smartphone cameras are of lower quality when compared to DSLR’s or modern mirrorless systems, thus the image quality is awfully lower. 7. Don’t forget to send a photo caption along with the pictures; if there’s more than one picture captions are expected for each photo. 8. It is essential to always identify the people that are in the photo, please include their full name, title, company and city where they are from to make it easier for the reader to know who they are. 9. If the picture has more than two people please start the caption with “Pictured from left to right”.